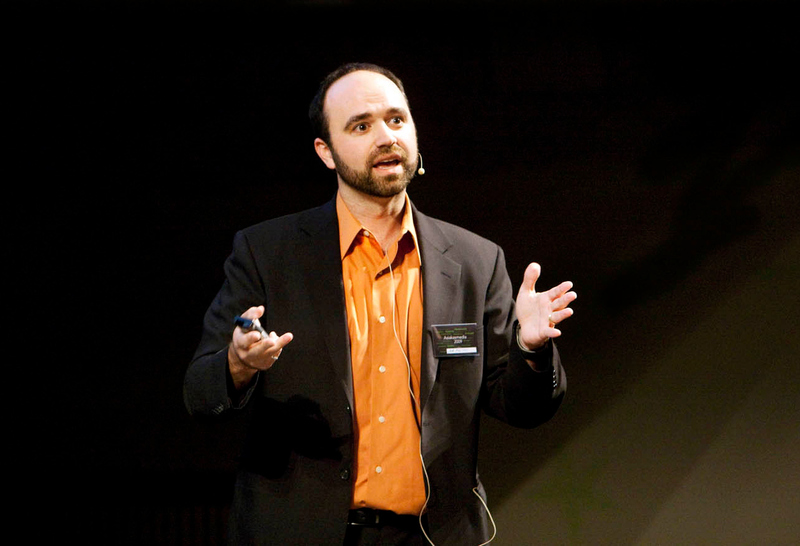 Joe Pulizzi började använda “content marketing” redan 2001. 13 år senare är termen på allas läppar. Och han själv är dess störste guru och främste evangelist. Den 22 maj berättar han för dig (om du kommer till Content Meetup i Göteborg) vad content marketing är. Men jag kan inte hålla mig. Jag kontaktade Joe Pulizzi och gjorde denna intervju, som av naturliga skäl är på engelska. God läsning! Thomas Barregren: Mr. Joe Pulizzi, since you are the father of content marketing, its greatest guru and chief evangelist, I must ask you: What is content marketing? Joe Pulizzi: Content marketing is the practice of creating and distributing valuable and relevant content to attract and retain customers. It is generally editorial driven (not product-focused content), focused on driving a behavior backed with a marketing goal, and consistently delivered to customers. Think of it like being a media company but not having to sell advertising or charging for the content. The goal of the content marketer is to ultimately sell more products and services, but generally the content creation process is similar to media companies. The brand will create high quality content, in one or multiple channels, over a period of time, for free — to create or maintain some kind of profitable customer action. The deliverables of content marketing tend to be blogs, custom magazines, events, webinar series, ebooks, research projects, email newsletters etc. In the paid, earned and owned buckets of a marketing organization, this is completely in the “owned” bucket, although many companies buy paid media to promote their content. For example, this is what native advertising is. We see native advertising (creating content on a publisher’s platform for a fee) as a good strategy for getting people to engage in your content…but ultimately we want those people to be engaging directly with our platform. Varför hittade du på ”content marketing”? Thomas: You came up with ”content marketing” in 2001. What happened around that time that caused you to start using that expression? Joe: In 2001, I was running a custom media division of a large publishing company. That meant I had to meet with a number of senior marketers and explain the values of them creating and distributing their own content instead of just advertising or PR. This was not easy. One of the biggest issues was that everyone called it something different. Custom publishing, custom media, brand journalism, customer media, etc. It’s very hard to educate people when everyone calls what you do something different. So I tried to use different terms for the practice of content marketing. When I used “content marketing” as the term, this was the one that senior marketers were most drawn to…so I started to use the term more and more. Then in 2007, 2008, 2009 more and more organizations started to pick up on the term. This allowed our discipline to grow…since we were all now talking the same language. Yes, there is still a lot of confusion around what content marketing is…some people think this is social media, some think PR…but at least now we are all on a similar page. And now, the industry has taken off. The combination of consumer control over content, no barriers to entry for publishers, social media and Google’s algorithm changes have all created boom times for content marketing. Brands are creating media divisions, hiring journalists, and trying to figure out the discipline. We still have a long way to go, but we are headed in the right direction. Varför har intresset för content marketing exploderat just nu? Thomas: In beginning of 2013, almost nobody in Sweden had heard of content marketing. Now everyone is talking about it. What has enabled this change? Why now? Is it a hype? Joe: First of all, that is great news. Second, think of it this way. Consumers have all the control. In the past, there were only a few channels to get information, and were pretty much forced into the content produced on those channels. Now, consumers can get any information they want…they are free. At the same time, consumers can completely ignore all our sales and marketing information. They don’t need us at all, and the majority of content coming from companies today is about the company. That’s a great way to get ignored. So what do we do to get attention? We need to become publishers. We need to deliver amazing information and build relationships with customers through our content, not just our products and services. Companies around the world are just figuring this out. This means a lot of change, pain and struggle in large organizations. We’ve built our marketing departments around paid media…now we need to even things out a bit and start building up our content divisions. Vad kommer du prata om på Content Meetup 2014? Thomas: You are keynote speaker at Content Meetup on May 22 in Gothenburg. What will you talk about? I’m going to talk about content marketing…what it really is. I’m going to discuss why so many organizations are doing it the wrong way, and how companies can do very simple things to get started on the right foot. At the end of the talk, I want people to be inspired about the possibilities…because to make content marketing happen in most organizations, it requires change. We need content marketing champions to make that happen. Är ditt besök den 22 maj det första i Sverige? Thomas: Will this be your first visit in Sweden or Scandinavia? Joe: I have been to Finland many times. I’ve also been to Norway and Denmark…but NEVER Sweden. I’m really looking forward to it. Thomas: Mr. Pulizzi, thank you for taking time to answer these questions. If someone want’s to know more about content marketing, where can they find information? Joe: You can find information about me and the event at the www.kntnt.se page. Information about Content Marketing Institute can be found at www.contentmarketinginstitute.com. My latest book, Epic Content Marketing, can be found at www.epiccontentmarketing.com. And on Twitter, I’m @JoePulizzi. Du träffar och kan själv prata med Joe Pulizzi om du kommer till Content Meetup den 22 maj i Göteborgs konserthus. Där får du även träffa Lena Hillstedt, marknadschef på Granngården, som på fem år har ställt om till content marketing, och idag fångar in 65% av kunderna via företagets egna kanaler. Granngården är en detaljistkedja med 109 butiker över hela Sverige som omsätter 1,6 miljarder. Dessutom får du själv, eller någon annan frivillig ur publiken hjälp att komma igång med content marketing – på scen inför 200 åhörare. Vill du inspireras och lära dig mer om jordnära content marketing är detta ett tillfälle du inte bör missa! Köp biljett NU och få 40% rabatt!